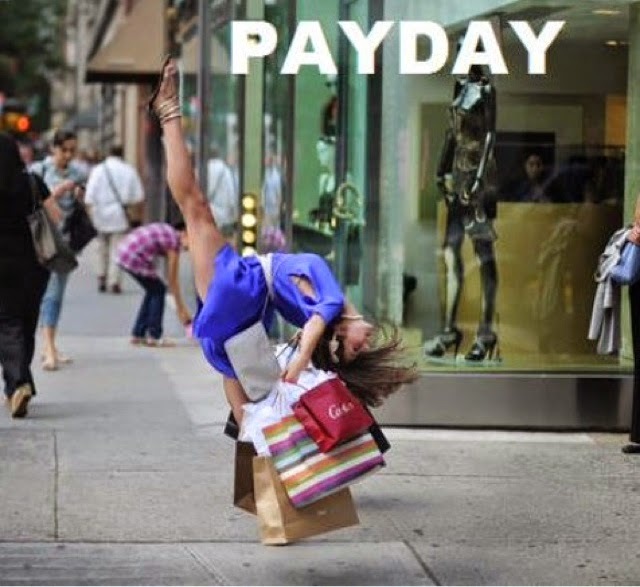 So has anyone ever felt this way after payday.....?! This was totally me the other day at the shops! I'd just got paid, ended up looking in a few shops and a couple of hours later walked out having spent a small fortune. Oops! I am loving all the new season fashion out at the moment. So many great neutrals and a lot of navy...it's the new black. 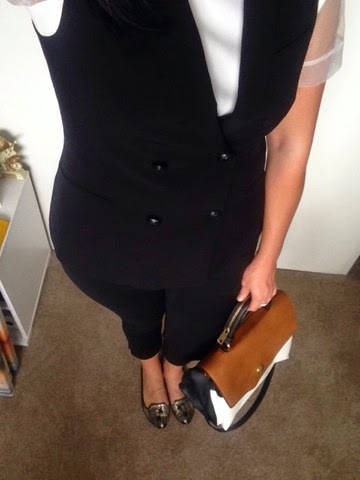 My new outfit is mainly from Zara. 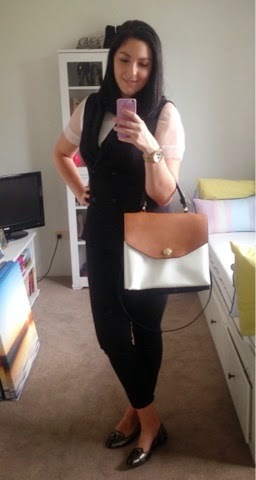 A good white shirt is a staple in my eyes and the chiffon sleeves on this top really sold it for me - so cute! 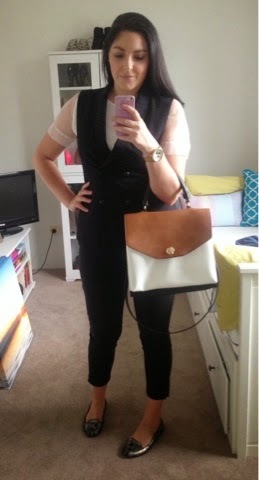 This vest is a twist on a basic navy blazer. 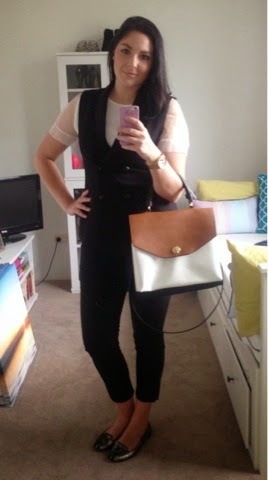 It ads another layer to your outfit but the lack of sleeves are handy because the weather is still quite warm. As soon as a saw this purse I snatched it up. These colours, gold trimming and the style...just perfect! 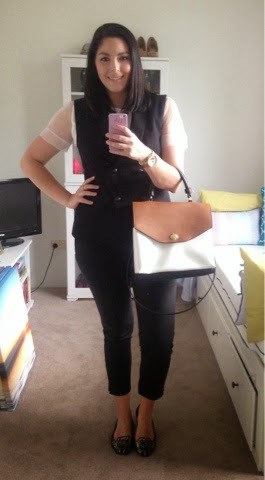 This bag is so versatile - you can wear in the day or night and you can fit sooo much in it without looking too bulky. My black pants are from Sheike and are so comfy. They're slightly stretchy and have a zipper detail around the ankle. I know I'll be getting a lot of wear out of these.